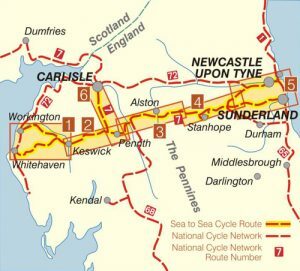 Clear, concise map, printed on waterproof paper, of the C2C / Coast to Coast / Sea to Sea Cycle Route (Whitehaven/Workington to Sunderland/Newcastle). 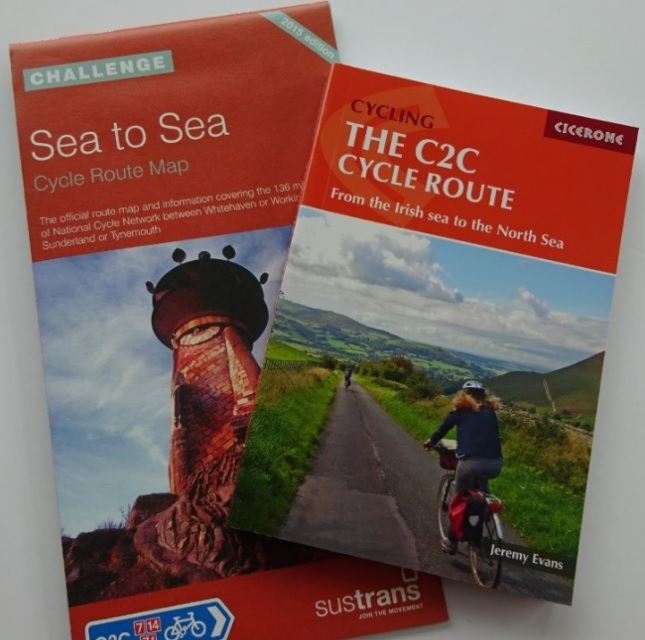 The C2C is the UK’s most popular Sustrans ‘Challenge’ cycle route. 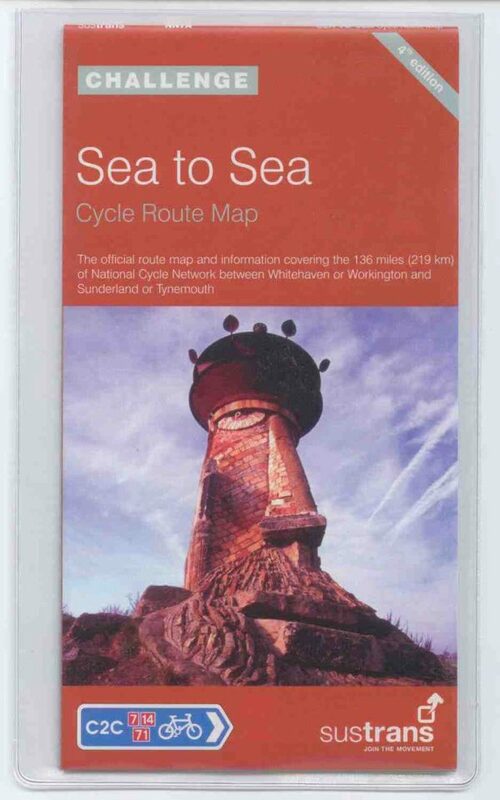 This is where you can buy the map that covers the whole coast to coast route from Whitehaven or Workington on the Irish Sea to Sunderland or via Newcastle to Tynemouth on the North Sea coast. 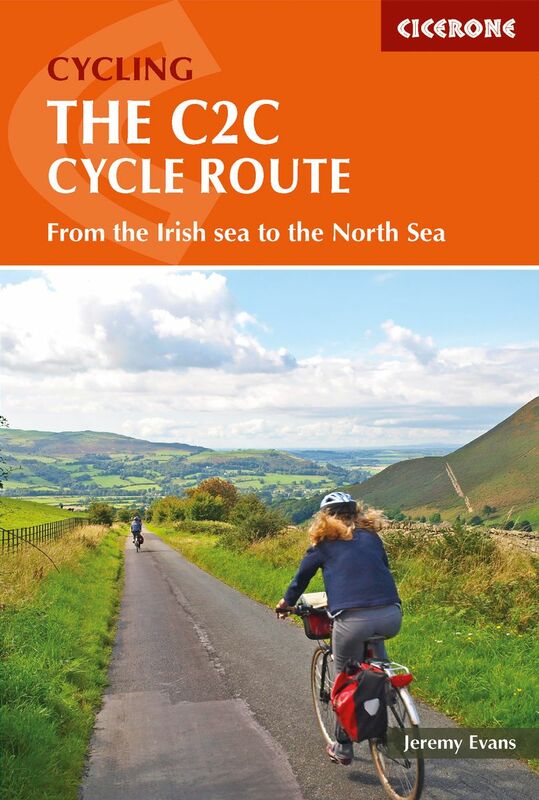 The C2C passes through the northern Lake District before climbing the Pennines, ‘the roof of England’, and then descending to the railway paths of County Durham. 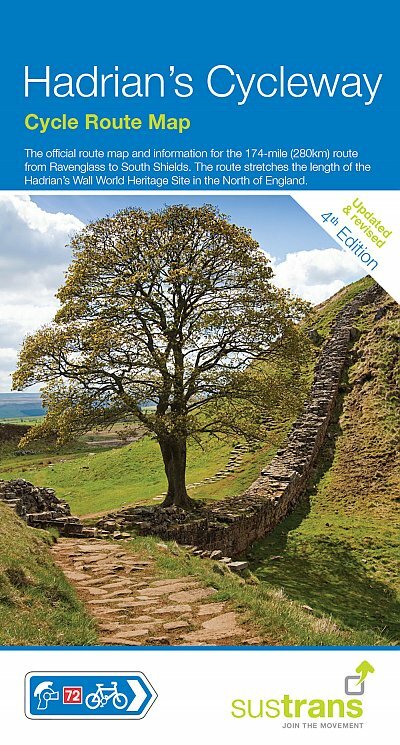 It includes Black Hill, the highest point on the National Cycle Network (609m) and the Consett-Sunderland railway path and sculpture trail. 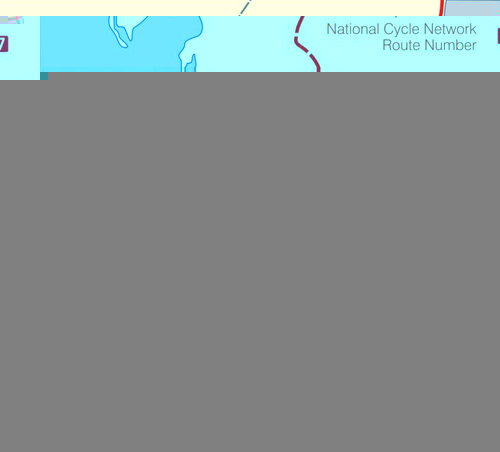 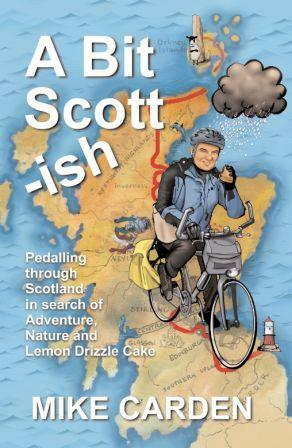 The route of the Coast to Coast Cycle Map is shown in strips in the Sustrans map. 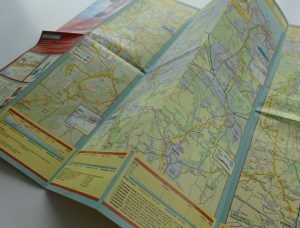 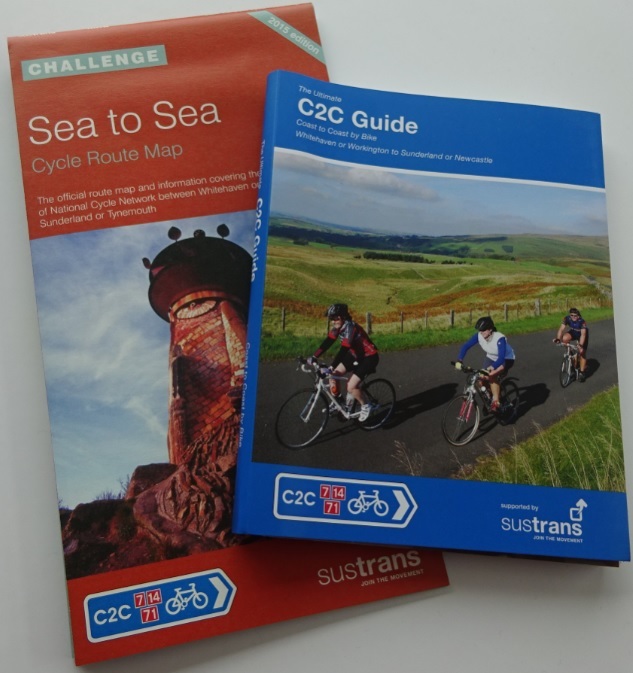 The Sustrans “Sea to Sea” map is a brilliantly designed map of the route, shown in strips or sections, printed on waterproof paper. 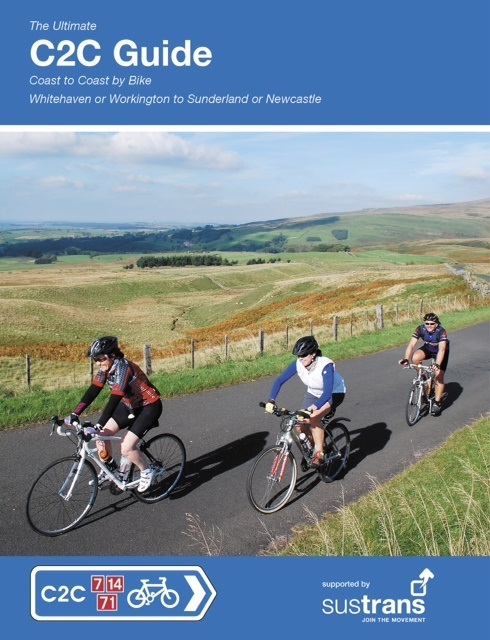 This is the official route map and information covering the 136miles/219km of National Cycle Network between Whitehaven or Workington and Sunderland or Tynemouth. 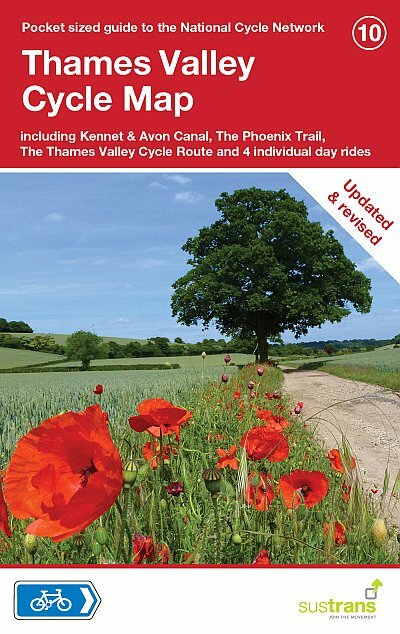 The map shows cycle routes on traffic-free lanes, quiet lanes and traffic calmed roads. 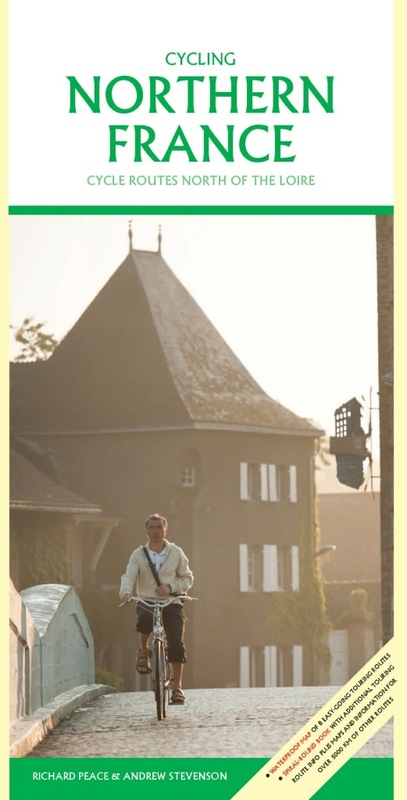 It comes with a splash proof plastic wallet. 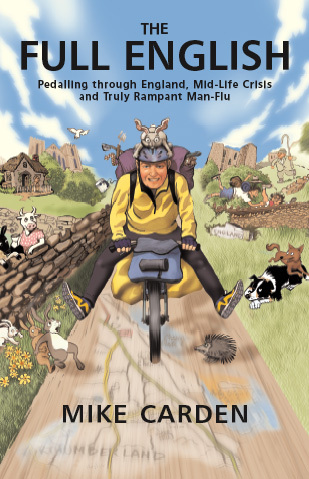 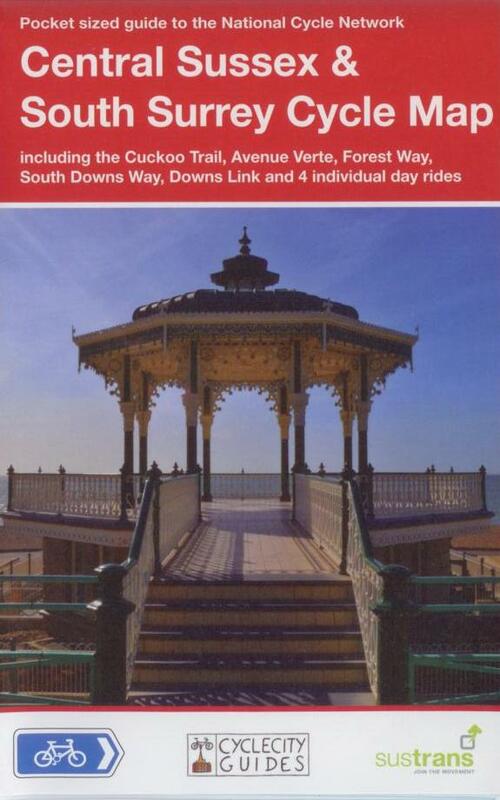 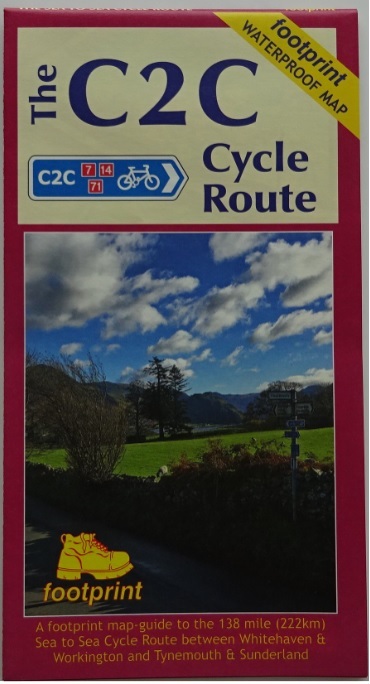 I do thoroughly recommend taking a map with you on the route, and you can also team it up with one of the very good cycling guide books for the C2C. 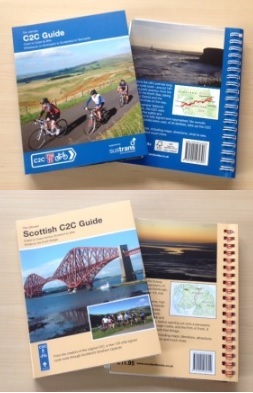 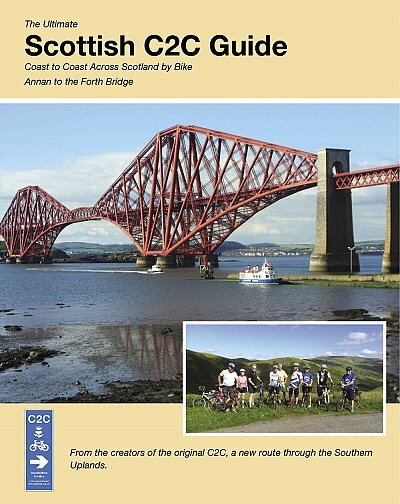 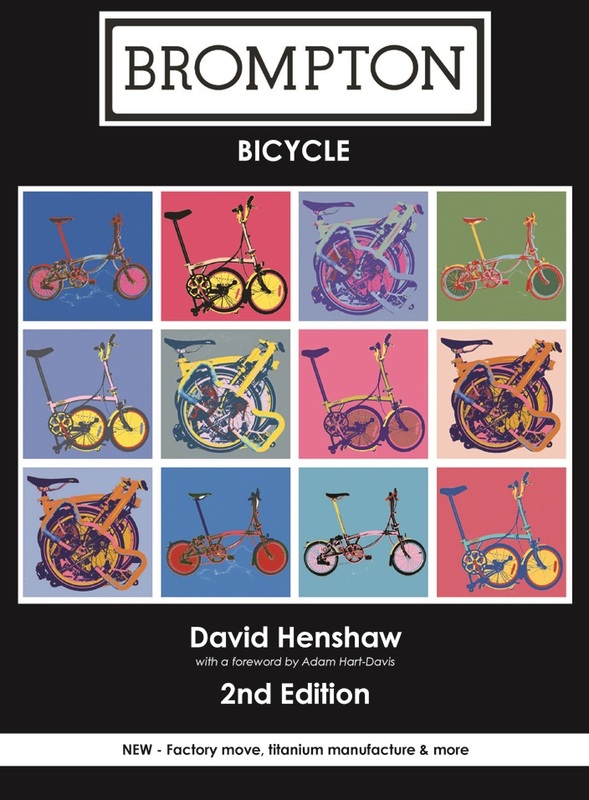 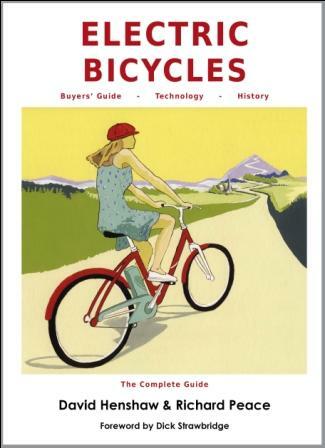 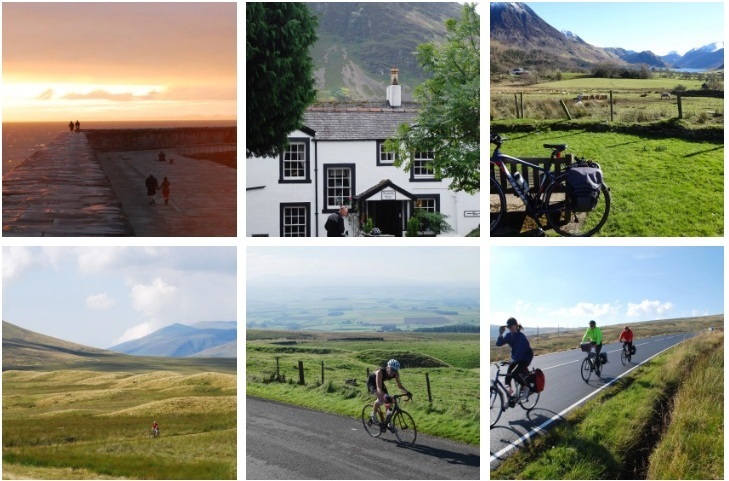 For route description, information on the C2C guide books and more, have a look at our dedicated C2C coast to coast webpage. 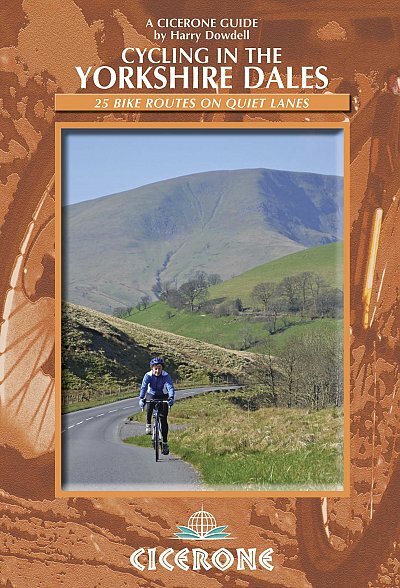 Since the floods of 2015, part of the C2C beyond Keswick and towards Threlkeld is not cycleable, with the bridges destroyed. 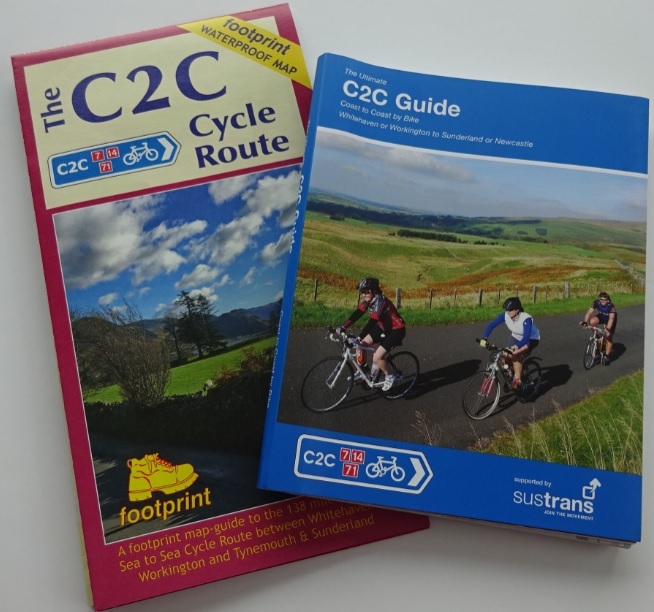 You can read more about the C2C route changes here. 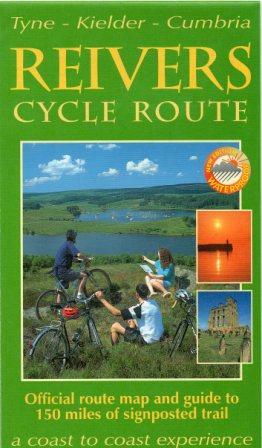 If you plan to cycle back east to west afterwards, try the Reivers Route or Hadrian’s Cycleway.